At the heart of Etruscan Coast, Castagneto Carducci attracts visitors for the beauty of its landscape and the variety of cultural and eno-gastronomic offerings. In Castagneto Carducci, history is alive in the medieval villages, where you can pass a pleasant afternoon basking in the top-quality hospitality offered by the numerous agriturismi, hotels and campsites in the area. Once you’ve arrived, it’s impossible not to journey along the Wine Road, where, in the territory surrounding Castagneto Carducci, some of the most esteemed wines in the world are produced – such as Bolgheri and Sassicaia – not to mention the highest quality extra-virgin olive oil. The Bolgheri Fauna Oasis, evocative and exceptionally important, is also a must-visit. Cultural, folk, and performance events liven up the peaceful tranquillity of this territory bordered by the waves and dominated by an enchanted medieval village on the hilltop, which developed around the Gherardesca Castle, built in about the year 1000. 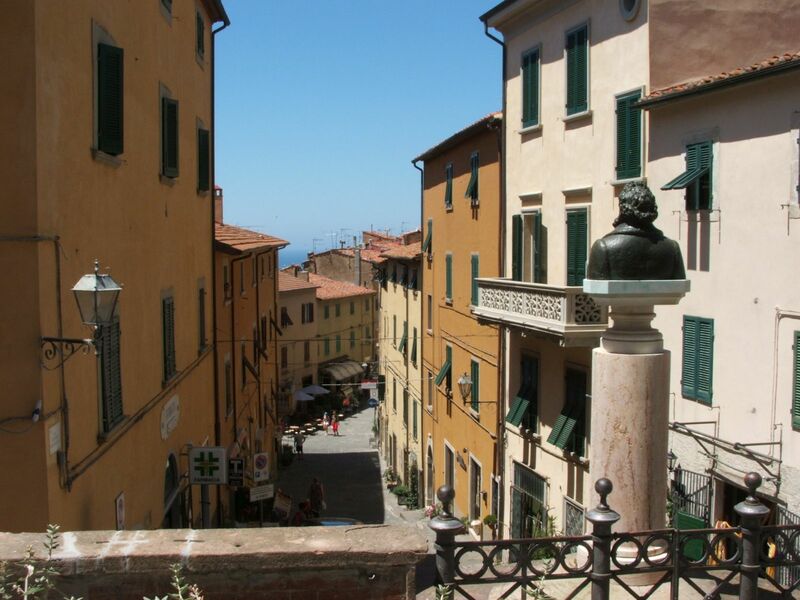 The town of Castagneto Carducci has paved streets, natural terraces that look out over the sea and the countryside, harmonious piazzas, historic artisan workshops and many characteristic trattorias. The village is home to a great deal of historic heritage like the Palazzo Pretorio – the town hall – and the Churches of San Lorenzo and Santissimo Croficisso (known for possessing a famous wooden crucifix from the 1400s). The town, which was originally called Castagneto Marittimo, changed its name at the beginning of the 1900s in honour of the great poet Giosuè Carducci, who spent part of his life here. The house where Carducci lived is today a splendid museum.